CirDock provides a new way of interacting with apps on the home screen dock by adding carousel animations to them. The tweak provides various different animation styles such as Cylinder, Wheel, Linear, Cover Flow, and a bunch of other styles which can be applied to the dock. What’s more interesting is that the tweak gets rid of the four apps-limit of the dock, allowing you to add as many apps as you’d like. It also allows you to switch between three different types of docks that carry the default, favorite, and badged items. The ‘favorite’ dock displays the apps that have been marked as favorite, whereas the ‘badged’ items dock would show apps that carry a pending notification badge on them. CirDock, can be configured via the dedicated preferences pane available in iOS Settings. From there, you can choose the apps which you’d like to add to the dock and the animation effect that is to be applied. The pane also provides customization options that allow you to remove the app icon labels and badges, and add an indicator to apps that are active in the background. To switch between the different types of docks, simply tap and hold on the current dock for a short duration. A black label is also visible to the left corner of the dock indicating the type you’re currently running. 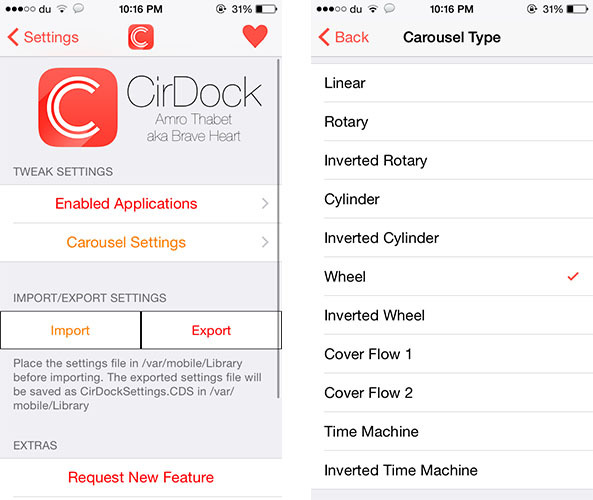 One of the more striking features of CirDock is its feature to export or import a user’s configuration settings, allowing you to simply pick up with the same setup on the same device at another time. The developer is also planning to add a bunch of new features to the upcoming update which includes an autohide option for the dock, closing an app with a swipe up or swipe down gesture, theming the dock, and much more. Overall, CirDock is quite an amazing tweak that outperforms similar tweaks in Cydia. The ability to switch between different types of docks is easily the biggest selling point of this tweak. 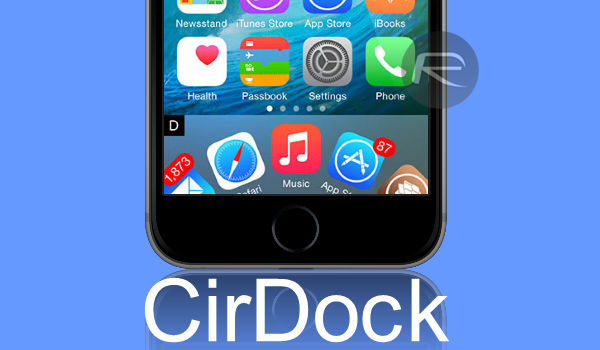 If you’re eager to get your hands on the tweak, CirDock is now available on Cydia’s BigBoss repository for $1.50. Let us know your thoughts on CirDock in the comments section below. I like it, but anyway to get rid of that ugly black “D” on the left side of the dock? AT&t was built with a database renew, it indicates AT&T took away the access with their database from many cheap սոⅼοсkՍΝᏞΟᏟΚs, but I know a site that does, you can google just google аttірḣοոеսոⅼосkіոǵ, we are still in a posture to սոⅼοсkՍΝᏞΟᏟΚ any AT&T device.